MyGolfSpy’s Harry Nodwell recently put the new PING G410 Plus driver to the test against his PING G400 LST. But, the fact that you can’t test the clubs with the same shaft is really a flaw in your ability to truly get an apples to apples comparison. GC Quad or not, you simply don’t have to tools to get this right. TXG does. INVEST!!! Definitely an improved driver as the hosle was a breaking point. Some adjustability some may want and a couple more yards. Wish it stayed @$400 but you have a few less & a lot more than $500. Hit the fairway and one putt if you want better scores. Buy what you want! readers: cannot hit a 300 yard drive. Consequently, I see no value in a text by a highly skilled player pounding 300 yard shots with a little tire perfect swing. THIS TEST DOES NOT RELATE TO MY GAME: USELESS. Let’s see what a 15 handicap can do. M1 TM is still one of the best designed heads made, shaft, toe-heel, front- back adjustment, and a hot face. Still being used on the tour. Can’t wait to try the new G410! From watching some of the interviews from the PGA show, I understand some of the pro’s have switched to the new G410 plus because of better overall performance. I think Tony Finau was one of them (formerly using the G400 max). I, unfortunately being a 10 handicap, will probably benefit by hitting the center of the driver face more frequently and picking up 10 yards and tighter dispersion that way. It’s all about the swing until you get it right. I understand that this was a very cursory test of these drivers, but I would have liked to see the predicted dispersion from the launch monitor rather than only the ball speed, launch, spin, and distance numbers. 300 yard carry means nothing if it is into the trees or a lake. Yes, dispersion is more heavily influenced by the golfer rather than the club, but so are launch and spin (i.e. AoA and spin loft). Since we have the same golfer hitting both clubs with what should be reasonable consistency between them, dispersion would give a clearer picture of whether the club is just hotter, but not as forgiving (claims of higher MOI aside). 1. I need to work on my swing consistency. 2. I’ve lost 10mph in 5 years, need to work out harder and get some of that back. 3. Three different drivers from 2013-2016 made very little difference because of numbers 1 and 2. All that being said, if I win the lottery I’ll buy the new Ping. Great post! I’ve had 3 driver fittings in the past 15 month; while all 3 fitter agreed that my spin rate was too high, all 3 used a different approach to lower it & gain me more distance. The 1st 2 fitters (& their recommendations) didn’t work (thank goodness for ebay!). Let’s see how the 3rd guys recommendation goes (I’m optimistic!). Unless your swing (& strike) are fairly consistent, your at the mercy of what your swing is doing that day. And are 5-7 yards worth $500? That $500 can buy a lot of golf, or lessons. $500 of lessons will lower your score more than 5-7 more yards on 14 holes. 1. Not everyone is replacing a driver from last year. They might have a driver from 3 years ago or 10. So a driver that is 3-5 yards longer than 2018 might be 10-15 longer etc. than his from 10 years ago. 2. At some point 5 yards is one club less on your next shot for some golfer. And using an 8 instead of a 7 generally speaking is looked at as an advantage. 3. Also these drivers offer better options for fitting a golfer in to a driver that maximizes his/her or her potential. 4. Some people just want new and while we aren’t the biggest fan of new just for new, we also know it’s real. Wow you guys use different shaft in all your club testing. That throws all the head comparisons out the window. I hear the argument that when we go to store often we can’t get the same shaft in each demo club. So I already know how that plays out. What do I need your comparisons for then? Hear, hear. Biggest problem with on-line club reviews is not telling the viewer which shaft was being used if it isn’t readily recognizable in the video. And, like you say, different shafts in club-to-club comparisons throws the whole point of the exercise out the window! I’m ok with the subjective comparison, I’d prefer a more objective one but…. It’s an increase of 5 yards at a 300 yard drive – so with drives between 200 and 250 it would be a 3 to 4 yard gain. At approx $100.00 to $150.00 (or more) per yard it’s a pretty expensive upgrade. And I can’t move the new shaft to my old Ping driver head because they changed the adapter!! This is the type of test that needs a robot or something similar. Diminishing returns for sure. The other issue is that golfers always look at distance first, and many don’t ever look beyond it. If you’re gaining 3 yards over what you have, can you justify $500. If it’s just because you want something new, cool. If it’s because you want more yards…maybe not. But what about total performance…dispersion, fairways hit, that sort of thing. There are definitely cases where 1 more yard can bring with it significant improvements in other areas. When that happens scores can actually start to drop. I have no issue with the guy hitting both clubs and forming an opinion, what I do think is that the majority of us here probably don’t have that type of ball speed to send it 290+ carry yards into the wind. If you were to say that a person who hits it 245 yards gains only 5 yards, that probably wouldn’t have such an impact as this does. I’m sure that there are some benefits of the new Ping driver but I doubt that I’ll see the SAME results with my swing. Such is the reality of limited review. As we say quite often around here, to do a driver test, you can either hit 10 balls or you can hit 10,000. Anything in-between is mostly pointless. The quick stuff can give you some idea of launch and spin differences (although I could go on for weeks about the inherent issues there as well). With Most Wanted we can break things down by swing speed and with the changes we’re making for 2019, highlight some other relevant bits. With TrueGolfFit, we’re able to take what you can tell us about your swing and use our data to make a much more personalized recommendation. It was definitely the best driver I hit at the demo day. Was SUPER impressed. The club was like cheating. So let’s see, 300 yd. hitter, newest technology, higher price “explodes” for + 5 yards or so? Na, think I’ll stay with my ‘ole’ K15. Very dubious clip. First giveaway was the “Wow trampoline” comment after the first hit with the new club. Second was “298 yard carry ” hitting directly into a wind that, only seconds earlier, knocked the ball off the tee in the opposite direction. Lastly how is a comparo with different shafts probative? 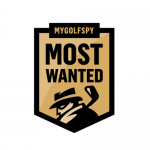 This wasn’t MyGolfSpy’s best moment, IMO. Apparently, somebody doesn’t understand how the GCQuad works. We use them for our testing, in part, because they normalize the testing conditions. Similar to the normalize mode on Trackman, while the quad adjusts for altitude and humidity, wind is entirely removed from the equation. I’d also add that in addition to what we hit on the range, we took the drivers back to HQ to get a larger sample size. As for the shafts, here’s the question I ask everyone who says we should be testing with the same shaft. When you go to demo clubs, do you insist that each head be outfitted with the same shaft? If so, is that shaft common to all manufacturer’s lineups? which shaft to you choose? This wasn’t meant to be a definitive comparison. It wasn’t billed that way. It’s one guy with better than tour level head speed hitting two drivers. Like most of what you get on YouTube, it’s easily digestible, but definitely not Most Wanted standard (and we certainly never suggested it was). Wow, Trampoline…I don’t know, just Harry having some fun, I suppose. Apparently someone has a chip on their shoulder. First, if you want to use the simple word “carry” to mean “video game carry” or “virtual carry,” say so. Second, by using different shafts to review clubs (and not shafts) one may reasonably conclude that ANY difference is based more on the shaft than the head (which makes perfect sense given limits on COR). The viewer, many of who reshaft anyway, are left without reliable info pointing them one way or the other. Not a chip at all. Just tired of hearing the same thing over and over (and over and over and over) again from guys who haven’t put .2% of the thought into this stuff that we have. Second(ly) to call it video game carry or virtual carry is just weak sauce. In the absolute best case scenario, it’s woefully uninformed for a guy who carries on like he’s got it all figured out. Seriously, did you do even 30 seconds worth of research before going buck wild with that nonsense? It’s not a guess, it’s math. Wow. You think every OEM along with many of the best players in the world are relying on a video game system to collect data? I agree, it’s a virtual certainty that the shaft contributes to the difference, and that’s likely more true for Harry than most, but again…the head is always the big nob, the shaft is the fine-tuning dial Ask a club manufacturer, ask a shaft manufacturer, they’ll both tell you the same. And FYI – COR is not part of the USGA specification for conformity. It hasn’t been for a while. Everything is CT-based. You might want to check our previous stories on how that creates opportunities for more distance within the rules. I want to see the smash factor. I can go out and do my own test but if I hit one club in the center of the face more often than the other, that club is going to go farther. If it doesn’t, then I know it is not as good. I have a ping 400 lst. Recently I tested the new Epic Flash. The fitter just went on and on about how much hotter this club was After hitting it and a stock G400 lst, there was no difference. When the ball was hit in the center of the face the distance was the same. Then I got my G400 which has a low torgue low spin shaft. I hit it 10 yards further. So I believe to make a fair comparison the same shaft has to be used. Evan- You got brutally beat down! He’s right btw! I was just thinking the same thing. Well done Tony! You guys do great work and the people on here griping about free content that could give them any insight at all into making purchasing decisions is just nonsensical! How awesome would it be to try a new club and seriously say ‘I may be getting myself one of these this year’. Lol. Most anyone I’ve been around even super rich people don’t get new stuff every year. To work in the golf business must be awesome but trust me I tried to gain employment in it for over 4 years. No one was hiring. You need to know somebody or blow somebody to get in the door. Or be a nationally ranked collegiate player at some point but then again you’d know somebody if you were. 298 yrd carry — going into what looked like a gale force wind? Oh man, youth is so wasted on the young, LOL! Thanks for sharing this, though. GCQuad sets up perpendicular to line of flight so it only sees launch conditions. The data is the same as if he were hitting indoors. Wind not a factor here. Exactly this. Why is MGS testing this against a driver that is not a direct comparison? Ping has clearly said that they aren’t releasing an LST version of the G410 because they couldn’t sufficiently beat it and they’ll wait a while longer until they have something better. This needs to be compared to the standard G400. It’s not exactly apples and oranges but it’s certainly comparing this year’s Fuji to last year’s Gala. The G410 LST Driver will be released approx July 1st. The G410 LST 14.5° 3-Wood will be released shortly. LST was last year’s Most Wanted winner – it’s also what’s in Harry’s bag. As always guys a good comparison test but do me a favour guys……. loose the background music…….. totally puts me off so had to turn down the sound……… why??? Just wondering… will you guys be doing this to every new driver? Been thinking of this exact thing after seeing and talking to the MGS guys at Demo Day last week. 90% of my bag has been filled from your data and recommendations, and filled another slot at the Merchandise bit, picked up an EVNROLL Putter. Excellent and useful test . Both drivers are fairly impressive . Most of the video described the feeling different and yet the most influential piece to feel, the shaft, was different. They should know better than that. I can promise you the shaft is not the most influential piece when it comes to feel. It’s amazing how so many want to attribute so much to the shaft. It definitely has an impact, it definitely matters, but in simple terms, the head is the big nob, the shaft is the fine-tuning dial. I came to mention the same thing. He could have easily hit them with the same shaft. He also could have posted his swing speed to go with the ball speed. The 2mph jump in ballspeed could be attributed to different things. Coincidently they were very different shaft as well. One looked like an AD VR-6 and the other a Diamana S+. As I mentioned in a previous comment, these Test Drives are not Most Wanted. The LST Harry hit was his personal driver, which has an AD-BB in it (not the VR). I believe the 410 Plus had the EvenFlow Black in it (one of the PING stock offerings). 0-2, but not far off. We would have used the same shaft, but as Dave mentioned, PING has switched to a new adapter for the G410 series. All you would have to do is read a how we test page to know that Most Wanted testing is done with stock shafts. This might have been my most anticipated driver of the show. Definitely some other good ones were there as well. But PING with a moveable weight is highly intriguing. There have certainly been a rumor or two over the years. Nothing confirmed, but where there’s enough smoke, there’s probably a fire. I’ve also been told that some jack lofts further in iron fitting carts. Golfers are still buying irons for distance, so it’s possible some are cheating the hitting bay and weakening for the golf course. I love my LST G400 and never expected profound gains from a single generation gap. Really looking forward to more thorough MGS side by side with these two. I have the G400 LST. I can’t imagine liking another club more. One reason is I purchased a low torque shaft that cost me $300 bucks. Now if I were to buy the the 410, I am going to have to buy another shaft. If I could just move the shaft to this head I would give it a try. But knowing they will be back next year with claims of an even better driver I will wait to even consider changing. The Ping G410 is the best out there. I have the G400 LST. I can’t imagine liking another club more. One reason is I purchased a low torque shaft that cost me $300 bucks. Now if I were to buy the the 410, I am going to have to buy another shaft. If I could just move the shaft to this head I would give it a try. But knowing they will be back next year with claims of an even better driver I will wait to even consider changing. The Ping G400 LST is the best out there. How is the dispersion compared to the G400? Looks like spin went up. Looks good and I’m impressed with the spin numbers VS the LST. It’s -10 degrees here right now but I still can’t wait to hit the new Ping Woods. Why the loft difference? One is 8.5 and the other is 9. I believe he is comparing them both at the stock loft. Ping made that change whereas they must feel the new club launches .5 deg lower and changed the stock loft to 9 deg. That .5 deg will not apply to every golfer, based on club path , dynamic loft, and spin loft combinations.